I think this sense of longing is universal. I believe it is a good thing, as it compels us to go after something “other”–something beyond ourselves. It is the urge which ultimately leads us to find God. However, like anything, it can have a darker side–a side that can steal contentment and acceptance from our lives–a side that leads us to seek perfection in an imperfect world. This is one of my favorite paintings. 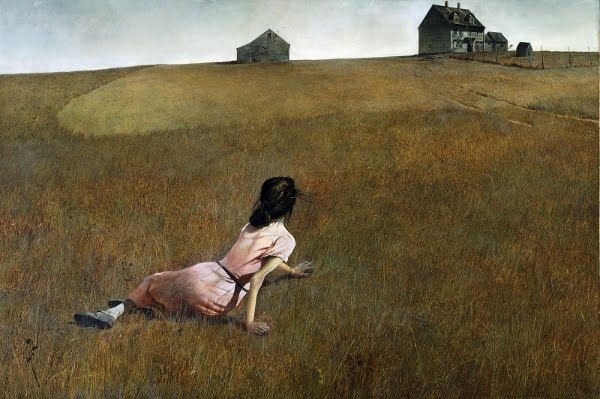 It used to hang in my high school art studio and I remember how something inside of me connected with this girl in the painting–the way she seemed fixed in one place yet longed for the home on the horizon–the way her posture seemed to be reaching for what was beyond her. I wondered what was in the house that she wanted, and I wondered why she stayed in that same spot on the grass. My art teacher eventually told me that the girl in the painting was handicapped–she had suffered from polio and was paralyzed from the waist down. It seemed such a sad portrait of a girl alone in an open field, longing to move yet unable to. Do you ever feel like that? If you were to put yourself in this painting, what posture would you assume and what would surround you? What would that thing in the distance be that you are longing for? Is it real, or is it a mirage? I have often struggled with contentment, idealism, and withdrawing into a fantasy world. I can tend to have this unhealthy awareness of what is missing in life and allow my own imagination to fill in the missing pieces. 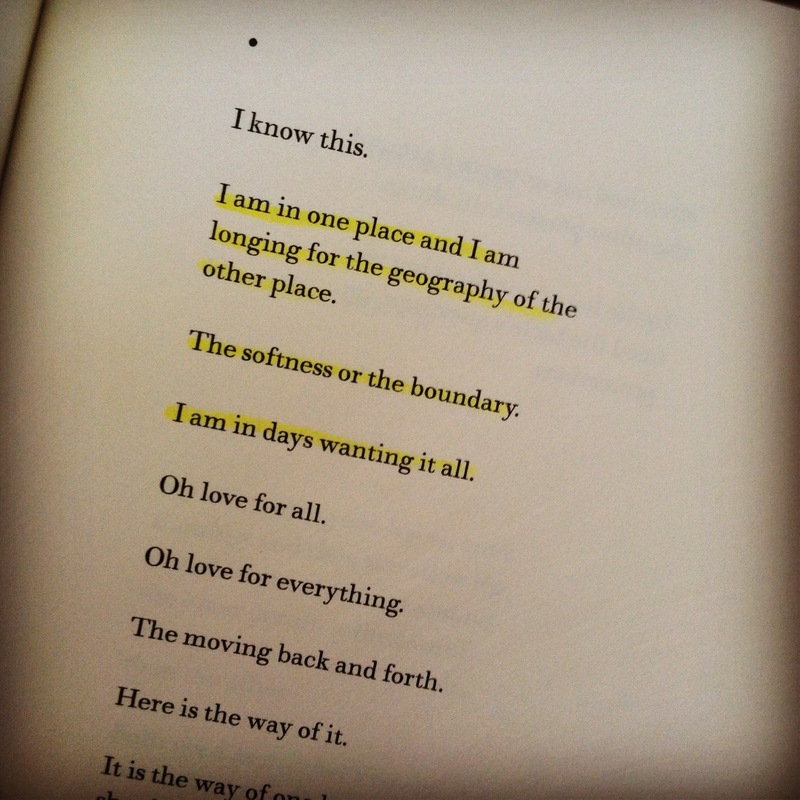 I am like Spahr when she writes, “I am in one place and longing for the geography of the other place…I am in days wanting it all.” In recent years I realize how much this struggle can steal from my enjoyment of actual life. Living in some fantasy world of “what might have been” or “what could be” or “what should be” takes a lot of mental and emotional energy. It can steal my ability to truly engage in the present-tense-reality of what life actually IS. Growing up, I had an idea of how my life would turn out. It is an illusive idea, not grounded in reality at all. It was always wrapped up in living overseas, in some brand of self-glory, living life as a loner and free-spirit, perhaps as a traveling nurse, helping others and needing nothing, free to do anything, to be my own person. The more I try to nail down the fantasy, the more disappointing and vague it actually is. I don’t know that I ascribe it to any one place–it is not grounded in anything truly tangible or even good. Yet, I find myself ascribing to it when my current reality is hard or disappointing. It is a way to escape. This got me thinking about how unreliable our ideas of the future really are. Nothing has turned out the way I thought it would. My foresight is terribly limited. And, the life I originally imagined for myself, which floats up in some pastel cloud, fluffy and unreachable, is completely detached from anything I would probably ever want to touch, taste, or feel in reality. This realization leads me back to the present, to this hard wooden desk where I currently write, to luke warm coffee, half-eaten biscotti, the stack of half-read books and crumpled napkin at my side. This is what is real. This is what I love. 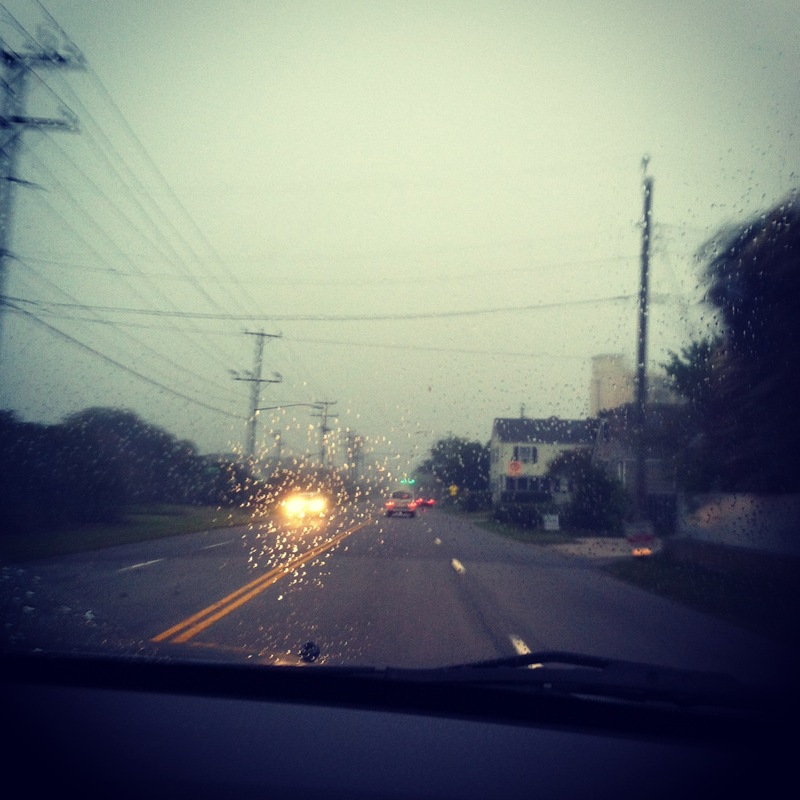 The here, the now…the paradoxes and dichotomies of daily life. The more I accept these, the more I am happy to let my flowery fantasy world float away like a balloon until it shrinks into a tiny speck in the sky, no longer visible to the naked eye. I was talking with a friend of mine on the phone last week. We are both thirty-somethings–now fully established in the decade that has largely (though not entirely!) escaped from the drama, reactivity, grandiosity, and insecurity that defined our twenties. We are “officially grown ups.” At this point, we are realizing that if we don’t start to discard the fantasies that we chased in our teens and twenties, our lives will pass us by, un-lived and unappreciated. It is time, we both have decided, to accept and embrace the full reality of life, in all of its ordinariness. If the fantasy hasn’t happened by now, it probably won’t, because it probably was never attainable anyways. It is time to embrace the plainness of a dry open grassland and a cloudy sky and the fact that, try as we might, we sometimes can’t move ourselves from where we sit in this big open field. We are here, where we are, for a reason, and perhaps there is joy and contentment in burrowing deeper into our current landscape, embracing both the grit and softness of the earth around us. This week, the week of Thanksgiving, I am grateful for life–even life that is “less than ideal” at times. I am grateful that my life didn’t turn out the way I imagined it–I would be miserable. I am thankful for the geography of the place I am in–its ordinariness–its many joys and disappointments. I am grateful that God gives us a heart that always longs for more…but that can also find rest and peace where it currently is. I am finding that there is great significance and value in “normalcy.” I am grateful that the home on the horizon–the one that I long for in the distance–is not something I can ultimately create for myself. It is a place that God has made for me, and it is real.